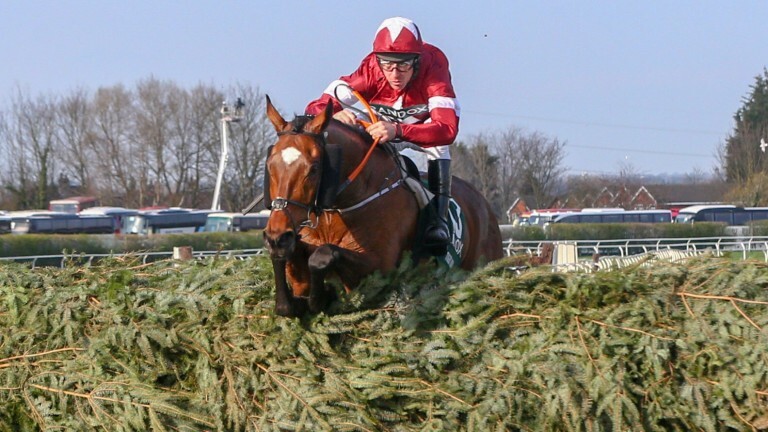 It might not have been Gerry O'Brien's intention to breed a Grand National winner when he sent his mare Swiss Roll to Authorized in 2009 – “I thought the resultant foal would win a few Gold Cups,” he says wryly – but he is nevertheless bursting with pride at having produced this year's Aintree hero, the tenacious Tiger Roll. After dabbling in several different careers, including a stint grave-digging, O'Brien was a long-time member of the Coolmore veterinary team until he retired to his farm near Portroe in County Tipperary in the noughties. “I worked for Stan Cosgrove on the Curragh and anything I profess to know about veterinary is due to Stan,” he says. History of Art might sound a strange diversion for a former veterinary student, but as O'Brien explains: “For better or worse I practised the art of veterinary medicine rather than the science as I found the science bewildering. The instinctive approach must have served O'Brien well at Coolmore as he enjoyed a long spell there, from the stud's inception in the 1970s until 2005. “I joined 'Coolmore Cares' initially for one year,” he says. “Twenty-seven years later after some wondrous times it was a case of, as the bookies say, when the fun stops, stop. In college terms, I dropped out. Non, je ne regrette rien. “My brief at Coolmore was reproduction. It's not rocket science. If you moved with nature, most would get pregnant in spite of you. O'Brien has given up the veterinary work since leaving Coolmore because “practising after Coolmore would be a total anti-climax: it would be like going from a five-star hotel to a B&B," he says. O'Brien was bitten by the breeding bug while at Coolmore and among the broodmares he bought was one who would give him most of his success, and is indeed the granddam of Tiger Roll. That was On Air, a daughter of Chief Singer who was a useful middle-distance handicapper on the Flat and also won a Haydock novice hurdle and finished fourth to Berude Not To in the Grade 2 Kennel Gate Castle Novices' Hurdle. On Air produced four winners for O'Brien, including Berenson, a son of Entrepreneur who took a Curragh maiden and finished second to Dubawi in the National Stakes on his only two starts; Pollen, an Orpen mare who carried the breeder's silks to victory in the Park Express Stakes; and Khachaturian, a Spectrum gelding who won on the Flat, over hurdles and over fences. Tiger Roll's dam – Swiss Roll, a sister to Berenson – completed the quartet of winners for On Air. She scored in two races and claimed second in the Vintage Crop Stakes before she joined her dam on O'Brien's stud. The daughter has matched the mother's feat of producing four winners, headed by the Lonsdale Cup winner and Irish St Leger runner-up Ahzeemah (to Dubawi) as well as Tiger Roll (to Authorized). Her three-year-old colt, Austrian School, is held in high regard by trainer Mark Johnston with the son of Teofilo, bought by the trainer as a yearling for just 20,000gns, having won two of his four starts last year. The mare has a two-year-old filly and yearling colt, both also by Teofilo, and she is in foal to Exceed And Excel. Authorized and Teofilo are by sons of Sadler's Wells in Montjeu and Galileo, while Entrepeneur was also by Sadler's Wells, so Tiger Roll and Austrian School are inbred 3x3 to the late Coolmore great. O'Brien explains the rationale behind the matings that led to Tiger Roll's birth. He says: “On Air came in season so I asked Tom Lynch at Coolmore, who the best-looking stallion on the stud at the time was. He replied Entrepreneur, so I said 'put the blue tag on her, Tom'. “Swiss Roll arrived as the result and she was sent to Tommy Stack, who did a marvellous job training her to win and get black type. She was a nightmare – a bad traveller, who worried a lot and ate very little. But she gave everything. And what was the Grand National and triple Cheltenham Festival hero like when he was merely a tiger cub? Tiger Roll was a beneficiary of the same natural approach to husbandry that O'Brien implemented during his veterinary career. “I try to wean as late as possible, a month before the mares foal or a month before they go to the sale – basically endeavouring as much as possible to replicate nature,” he says. "In fact, Berenson was weaned as a yearling as On Air was running late. “I keep it simple. The foals receive no supplements, no vitamin injections and so on. Tiger and his Mum were fed on the cooked mix. In the last year, I switched to 14 per cent pellets as somebody told me the crows won’t eat the pellets, and they were right. If anyone was not convinced of O'Brien's delight at breeding a winner of the most famous jumps race in the world when Classic success was the aim, his passionate defence of Tiger Roll in response to perceived slights about the horse's diminutive stature should put the case beyond doubt. “Michael O’Leary's choice of the word ‘rat’ to describe the horse is very much misplaced,” he says. “Tiger is anything but. He is endowed with perfect conformation, balance and a unique presence. Indeed, he is an artist’s dream to paint or sculpt. O'Brien has the ultimate riposte to those who do not afford smaller horses the respect they deserve. “Where were they when Tiger’s half-brother Austrian School – a colossus, a giant – was sold for just 20,000gns at Tattersalls in October 2016? He's already a dual winner at two.